Objective: Cerebrovascular abnormalities have been reported in adult patients with Pompe disease. The objective was to study these abnormalities by (1) determining the diameter and mean flow velocity (MFV) of large cerebral arteries and (2) estimating cerebral blood flow (CBF), resistance index (RI) and cerebrovascular reactivity (CVR) as functions of resistance vessels. Methods: In ten adults with Pompe disease and twenty controls, the diameter, peak systolic (PSV) and end-diastolic velocities (EDV) of arteries supplying the brain were quantified by MR angiography and sonography. MFV, RI and CBF were calculated. CVR in the middle cerebral artery (MCA) was determined by hyperventilation and acetazolamide injection. Results: MR angiography revealed dilation of cerebral arteries predominantly in the posterior circulation. Dilative arteriopathy was found in three patients; two of them showed vertebrobasilar dolichoectasia. Despite of the dilative arteriopathy, the MFV was normal, indicating increased CBF and dilated resistance vessels. RI of all examined arteries and CVR of MCA were normal. Conclusion: The data suggest that dilation of small and large cerebral arteries is a common feature in adults with Pompe disease. Increased CBF might be the consequence of dilated resistance vessels. However, dysfunction of resistance vessels was rarely found. Synopsis: In adults with Pompe disease, dilation of small and large cerebral arteries is a common feature and might be associated with increased cerebral blood flow. Ole Hensel and F. Hanisch have contributed equally. 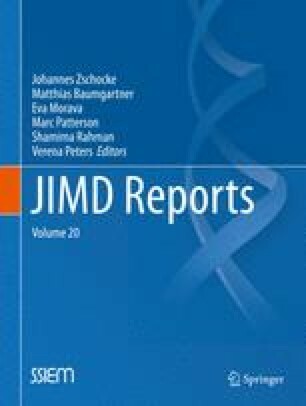 We thank P. R. Joshi, S. Demuth and Z. Lukacs for the genetic and enzymatic analysis, K. Birch and A. C. F. van Maanen for copyediting the manuscript and O. Kuß for the statistical support. We also gratefully acknowledge the effort of all the patients who participated in the study. F. Hanisch has received lecturer honoraria from Genzyme Corporation. M. Deschauer has received payment for lectures and manuscript preparation and a grant from Genzyme Corporation. T. Müller has received speaking fees from Boehringer Ingelheim. O. Hensel, D. Stoevesandt and K. Stock report no disclosure. All procedures followed were in accordance with the ethical standards of the responsible committee on human experimentation (institutional and national) and with the Helsinki Declaration of 1975, as revised in 2000. Informed consent was obtained from all patients prior to inclusion.